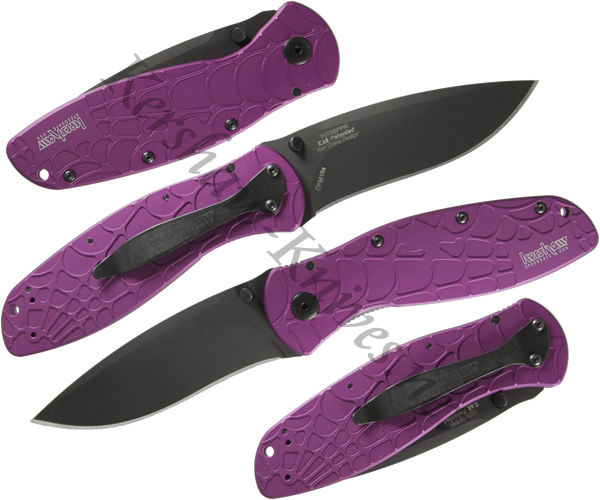 This limited edition Kershaw Blur model 1670SPPR has a unique purple anodized aluminum handle with a web pattern. The CPM 154 stainless steel blade is coated in black oxide for a tactical look as well as corrosion protection. The knife itself is assisted opening. Opening the knife is very comfortable because the dual ambidextrous thumbstuds have been shaped so that your thumb rests gently on them.